Vaseem Khan takes us on a journey from the days of the Raj to the heart of modern India, a colourful and conflicted environment of vast new wealth and historical problems. Vaseem will explore the background to his Baby Ganesh Detective Agency novels, exploring the realities of life in a country being transformed by unprecedented global change. He will also answer the intriguing question: how do you fit an elephant into a crime story? 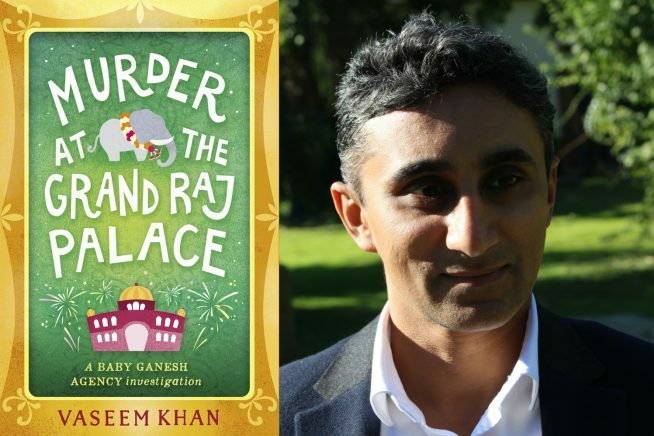 Vaseem Khan is the author of the bestselling Baby Ganesh Detective Agency series featuring Indian detective Ashwin Chopra and his baby elephant sidekick. The first book in the series, The Unexpected Inheritance of Inspector Chopra, was a Times bestseller and a Waterstones Paperback of the Year. The second won the Shamus Award in the US. In 2018 he was awarded the Eastern Eye Arts, Culture and Theatre Award for Literature. Vaseem was born in London, but spent a decade working in India. His latest book is Murder at the Grand Raj Palace about the death of a wealthy American at India’s most iconic hotel. Visit accessable.co.uk for all disability and access information about Halstead Library.